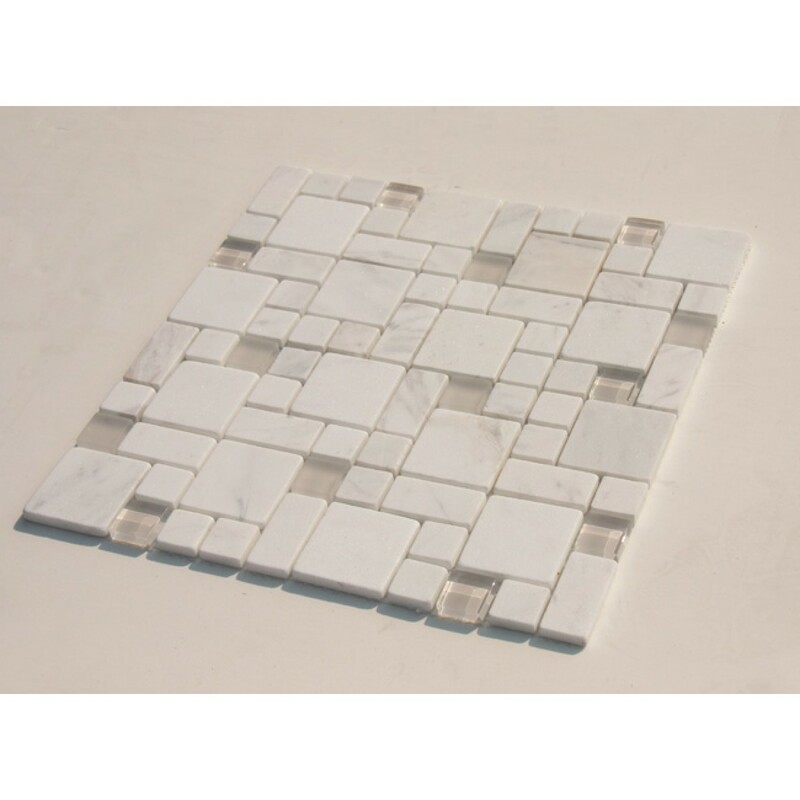 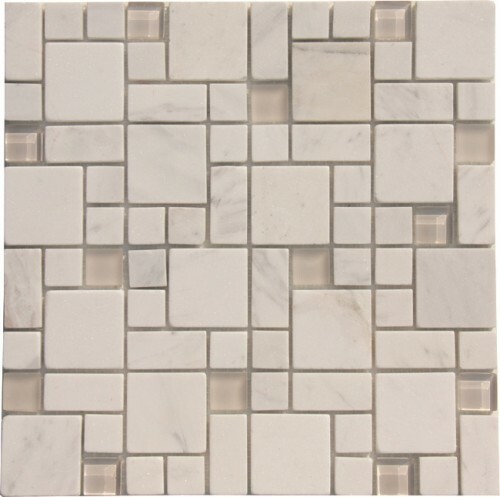 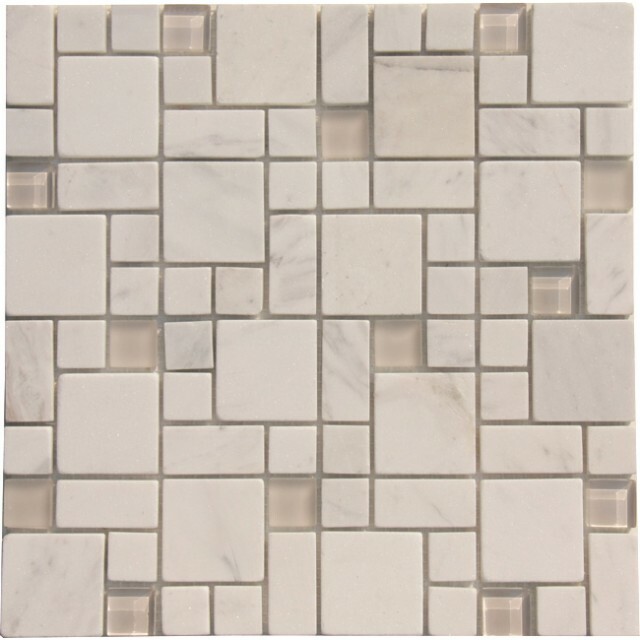 White Marble Mixed with Glossy and Matt Glass Marble Mosaic Tile. Sold in 12" x 12" Mesh Backed Sheet. 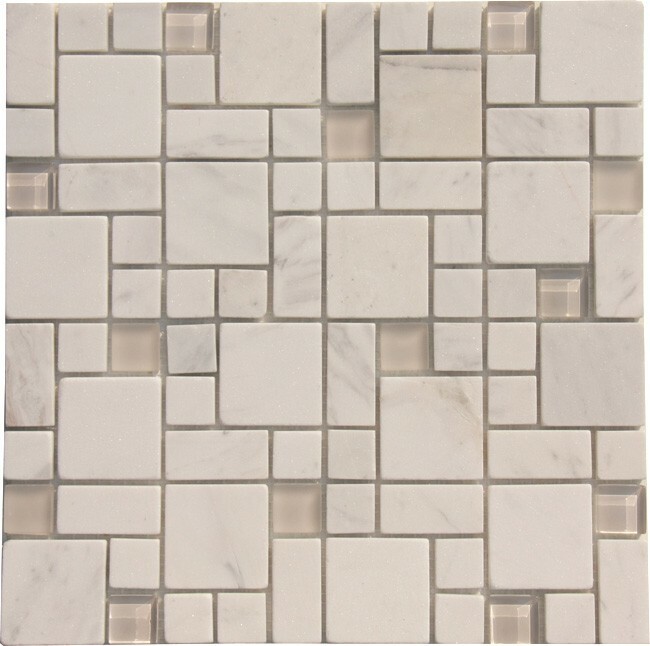 Tile Size Various. 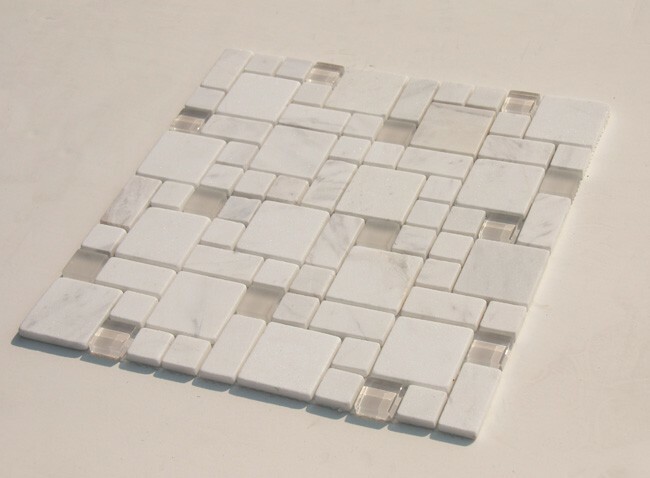 White Marble Mixed with Glossy and Matt Glass Marble Mosaic Tile.